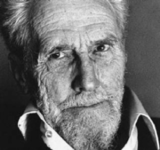 First published in 1919 by Ezra Pound, Ernest Fenollosa's essay on the Chinese written language has become one of the most often quoted statements in the history of American poetics. As edited by Pound, it presents a powerful conception of language that continues to shape our poetic and stylistic preferences: the idea that poems consist primarily of images; the idea that the sentence form with active verb mirrors relations of natural force. But previous editions of the essay represent Pound's understanding-it is fair to say, his appropriation-of the text. Fenollosa's manuscripts, in the Beinecke Library of Yale University, allow us to see this essay in a different light, as a document of early, sustained cultural interchange between North America and East Asia. 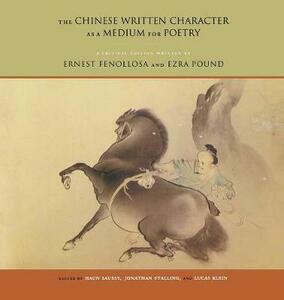 Pound's editing of the essay obscured two important features, here restored to view: Fenollosa's encounter with Tendai Buddhism and Buddhist ontology, and his concern with the dimension of sound in Chinese poetry. This book is the definitive critical edition of Fenollosa's important work. After a substantial Introduction, the text as edited by Pound is presented, together with his notes and plates. At the heart of the edition is the first full publication of the essay as Fenollosa wrote it, accompanied by the many diagrams, characters, and notes Fenollosa (and Pound) scrawled on the verso pages. Pound's deletions, insertions, and alterations to Fenollosa's sometimes ornate prose are meticulously captured, enabling readers to follow the quasi-dialogue between Fenollosa and his posthumous editor. Earlier drafts and related talks reveal the developmentof Fenollosa's ideas about culture, poetry, and translation. Copious multilingual annotation is an important feature of the edition. This masterfully edited book will be an essential resource for scholars and poets and a starting point for a renewed discussion of the multiple sources of American modernist poetry.